The new Flexible Pallet Container automation system from Fastems is a progressive alternative to older “pallet pool” technology that extends from a single manufacturing cell to serve up to 18 pallet positions for three identical machine tools by using full-featured, shop-wide system integration with ERP/MRP systems. 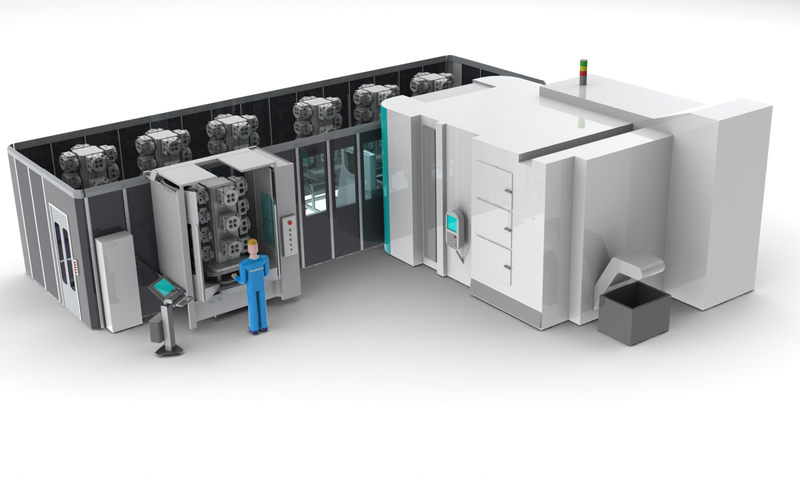 The FPC 3000 flexible manufacturing system from Fastems is a single-level flexible manufacturing system specifically designed to handle 800 mm and 1000 mm pallets. The typical crane-style pallet changer has been replaced with a new, dual-rail guided pallet change vehicle sporting a unique low-profile design that accommodates loads up to 3000 kg, heights up to 1800 mm and diameters up to 1600 mm. The new pallet automation system is a progressive alternative to older “pallet pool” technology that extends from a single manufacturing cell to serve up to 18 pallet positions for three identical machine tools by using full-featured, shop-wide system integration with ERP/MRP systems. Fastems, LLC (West Chester, OH) offers its newest Flexible Pallet Container (FPC) type automation system as a progressive alternative to older “pallet pool” technology that provides end users and machine tool builders with a complete FMS installed in a “container”. 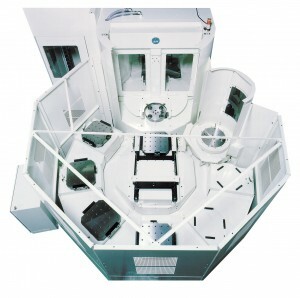 The FPC 3000 is the newest edition of entry-level FMS solutions and can be integrated with a new HX800iL horizontal machining center from Kitamura Machinery. The FPC 3000 is a single-level flexible manufacturing system specifically designed to handle 800 mm and 1000 mm pallets. 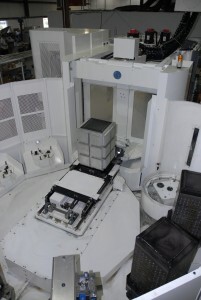 The typical crane-style pallet changer has been replaced with a new, dual-rail guided pallet change vehicle sporting a unique low-profile design. This system accommodates loads up to 3000 kg, heights up to 1800 mm and diameters up to 1600 mm. 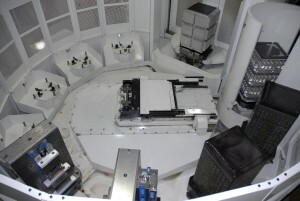 The standard FPC 3000 will be shown with a load station and six pallet positions. 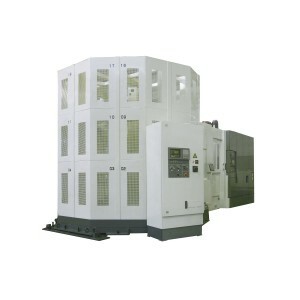 However, the unit can be extended with up to 18 pallet positions and 3 identical machine tools. The container FMS in the booth will be directed by the latest Fastems Manufacturing Management System (MMS) Cell Controller. The MMS5 software can extend from a single manufacturing cell to a full-featured, shop-wide system integrated with other manufacturing plant software programs, such as ERP and MRP systems. It is also fully compatible with MT Connect.